Beware, the trailer of Anushka Shetty's much-awaited horror film Bhaagamathie is not for the faint hearted. The trailer of the film begins on a happy note, in which Anushka Shetty is seen as an IAS officer and actor Unni Mukundan features as her lover. 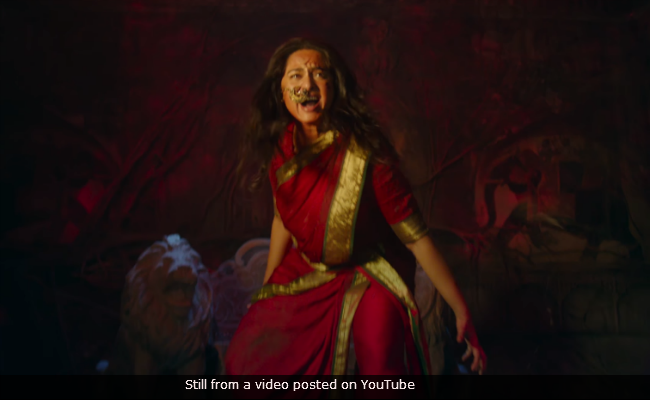 But, soon the trailer turns into a nightmare, when some politicians and police officers decide to throw Anushka into a house, which is haunted by Bhaagamathie's spirit. In the trailer, we witness that Anushka is dragged, beaten and thrown off the walls by some unseen entity. Trust us when we say this, unless you're a massive brave-heart, don't watch the trailer alone. The two minute Bhaagamathie trailer is a ride as scary and thrilling as is possible. The demonic creature, which possesses Anushka's character in the film, is never really shown fully but its presence is explicitly etched out. Earlier, Anushka shared the first posters of Bhaagamathie, which featured injured her with a blood stained axe, unkempt hair and a rather cold expression on her face. Bhaagamathie began shooting in June last year and the cast of the film also reportedly includes Tabu. Directed by G Ashok, the trilingual film will release in Telugu, Tamil and Malayalam. In Bhaagamathie, Anushka Shetty also co-stars with stars like Jayaram, Unni Mukundan and Aadhi Pinisetty. Described as a "modern day thriller", Anushka Shetty's Bhaagamathie is scheduled to release on January 26.